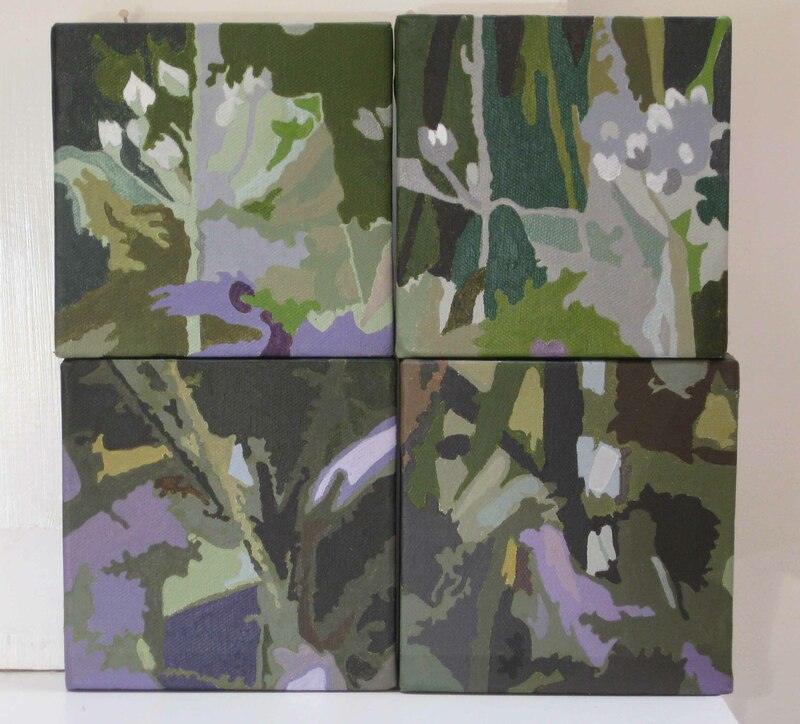 I’m still working on a set of quite small canvasses based on some of the greenhouse flowers at Wallington. 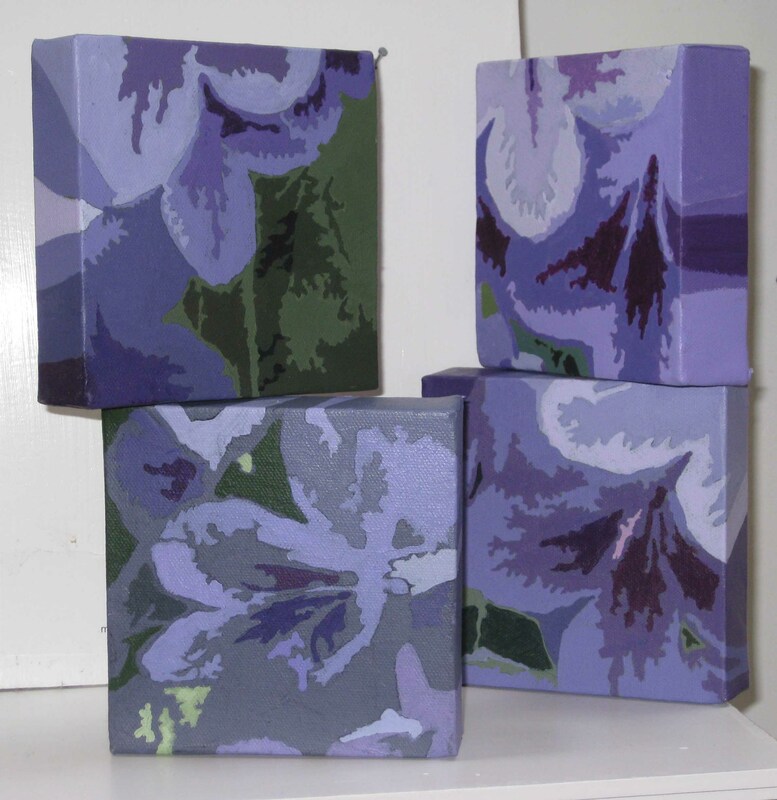 They relate to this larger Purple Patchwork set of four canvases that is almost complete now. I’ve discovered that the small ones can be displayed quite successfully in several different ways. I’ve been stacking them one on top of another vertically as well as placing them at slightly different angles in a row side by side. I like the way they catch the light differently that way-though this doesn’t show up well in this photo. I’ve painted 12 of them now, and most are in purples, greens and greys, so I decided to increase the colour scheme by painting some flowers that were in yellows and orange. 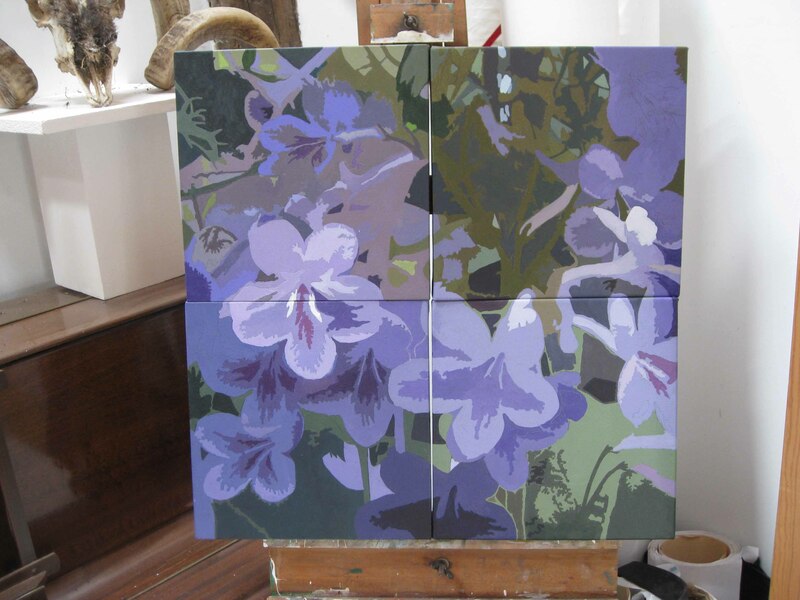 I’m also starting to work on sections of stems and leaves to give variety to the shapes when they are seen in a group. 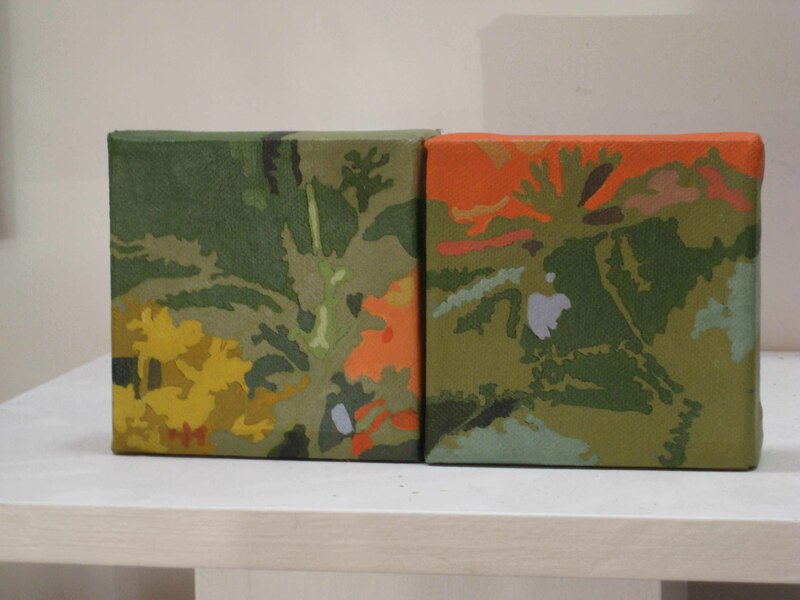 I began by painting them all the same size (5 inches square) but I’ve started to use a rectangular canvas and to vary the sizes of the canvasses.